Don McLeanI remember sitting in front of my TV screen in ’71 watching BBC’s “Top of the Pops” when all of a sudden this guy started playing a song called American Pie. He looked kinda “too nice to be true”, hippyish but not! I was just blown away right from the start. To this day I don’t ever recall the effect that this one song had on me for the rest of my life! First of all the music itself was glorious, flowing with an effortless lilt that had you singing the chorus just once after you heard it. The second were those words; all sounded so correct but when you tried to analysis them, left you completely in the dark. What was he saying, who was he talking about when he said –“And the three men I admire the most”-Jesus, where was he going here man! And that was just the start of what I consider to have been the greatest song ever written in the last forty years. 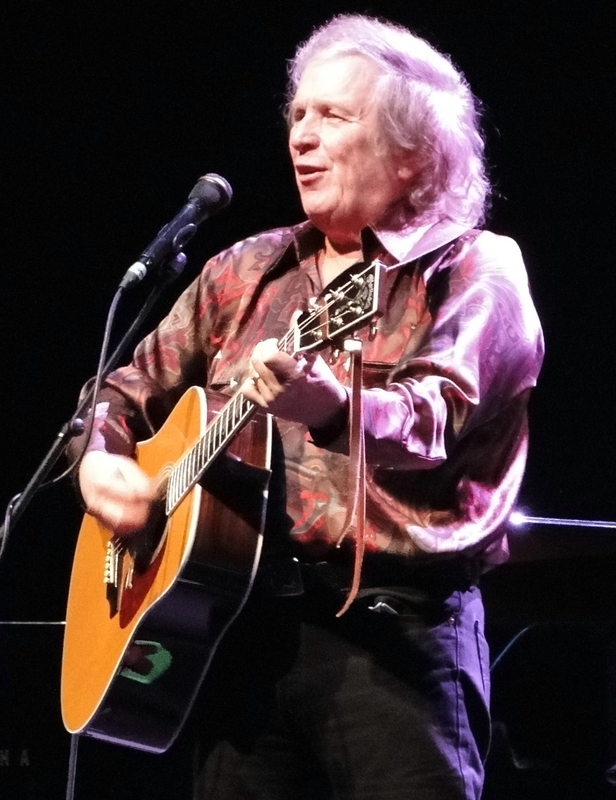 "American Pie" is the title of a song written and performed by American folk rock singer-songwriter Don McLean. Recorded and released on the American Pie album in 1971, the single was a number-one U.S. hit for four weeks in 1972. After decades of analysis it’s now accepted that the song is a recounting of "The Day the Music Died" — a tribute to those that died in the 1959 plane crash that killed Buddy Holly, Ritchie Valens, and The Big Bopper (Jiles Perry Richardson, Jr.). McLean is said by many to have composed "American Pie" sitting at a table in the Tin & Lint, a bar on Caroline Street in Saratoga Springs, NY. A plaque marks the table today. What set’s it apart from any other song are those incredible cryptic lyrics that have long been the subject of curiosity, speculation, and utter pure frustration. American Pie was dedicated by McLean to Buddy Holly, yet none of the musicians in the plane crash is identified by name in the song itself. "You will find many interpretations of my lyrics but none of them by me. Sorry to leave you all on your own like this but long ago I realized that songwriters should make their statements and move on, maintaining a dignified silence." Every now and again he has made some effort to explain some of his cryptic lyrics such as "February made me shiver/with every paper I'd deliver" which referred to the day he learned about Buddy Holly’s death while folding newspapers for his paper route on the morning of February 3rd, 1959. A quote from the third verse of the song -"Now ten years we've been on our own" apparently refers to events of the 1960s, highlighting how a once unified, peaceful, and idealistic youth movement began to split apart. The words used also sum up how the death of US President John F. Kennedy (JFK) was used as the symbolic "loss of innocence" for 1960s youth, and the Altamont Free Concert, a symbolic end of 1960s youth movements. The concert at Altamont took place in December 1969, the same year in which the third verse in "American Pie" opens. Altamont was supposed to have been a second Woodstock Festival; but instead turned out to be characterized by drugs, violence and death (ref: 18-year-old Meredith Hunter death at the event). So was McLean saying that the youth could no longer harbor the illusion of a good society? He never indicated this all down through the years! In the next excerpt he hints at it again. Further on he suggests another alternative meaning. Was he talking about youth, or John F. Kennedy, Robert F. Kennedy, and Martin Luther King, Jr. or the three remaining Crickets, Buddy Holly's group! For me he was talking about an age, a space in time that would never be repeated again until the Beatles arrived and took over that mantle from Holly. McLean somehow managed to intertwine death with lost youth, lost hope and lost leadership. 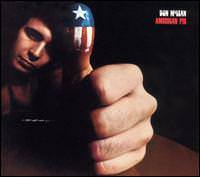 American Pie as a song is structurally perfect, musically magnificent and lyrically superb as only a great poet can write. I think these words are probably the finest written by any songwriter in over 40 years.